Since its inception, SpaceX has been working toward developing reusable rockets. From a fiscal standpoint, the move makes a tremendous amount of sense: Not having to pay tens of million dollars to build a new first stage booster every time you launch is cost-effective, and would make launches a hell of a lot easier as a result. On Thursday, SpaceX will finally take the plunge—or rather, launch—and attempt to send off and land a Falcon 9 rocket that was used last April to send a Dragon cargo capsule to the International Space Station (ISS). If SpaceX is successful, this will mark the first time a reusable rocket has ever been launched into orbital space and landed upright. 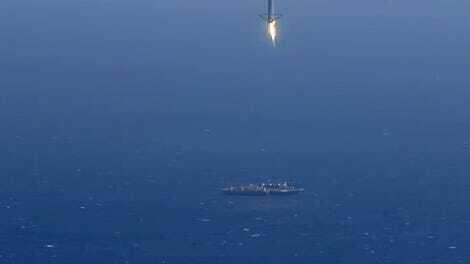 Since December 2015, the company has successfully landed Falcon 9 first stages on eight separate missions, first at land and later, in a more technically challenging feat, on a drone ship at sea. 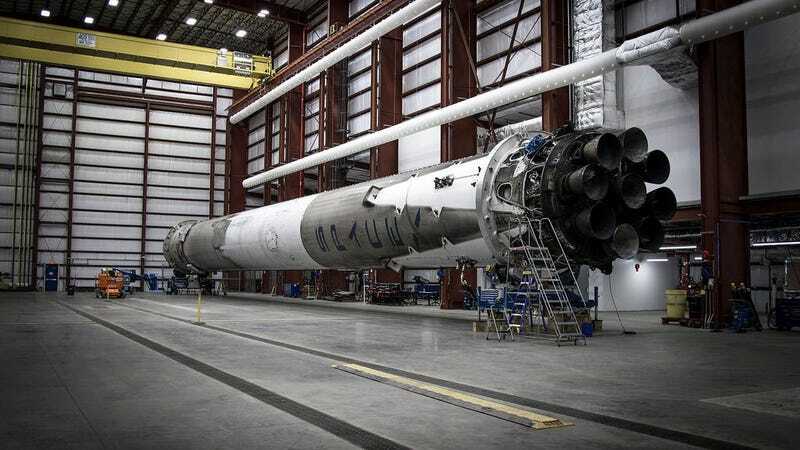 It charges companies roughly $60 million to carry a payload, but in the case of this week’s launch, SpaceX cut European-based telecom satellite operator SES a steep discount due to the refurbished rocket, according to a report by Spaceflight Now. If all goes according to plan, without any delays, mishaps or explosions, the Falcon 9 will ferry the SES-10 communications satellite into orbit later this week. Reusability makes a lot of sense—so why has it taken the aerospace industry so long to achieve? To be fair, Jeff Bezos’ aerospace company, Blue Origin, successfully launched and landed its New Shepard rocket on five separate occasions in less than a year—but those were all suborbital flights. It’s also worth noting that NASA’s Space Shuttle, with its twin solid rocket boosters, was also a reusable launch vehicle. Still, no one—and there are a lot more companies in the rocket game than there were when SpaceX was founded in 2002—has yet to ace an orbital mission with a reusable rocket that lands upright. Reusing rockets could lead to cheaper launches for commercial satellites and government partners—SpaceX has hinted at giving its customers discounts of up to 30 percent for reusable rockets. And ultimately, if we’re going to send loads of humans live on Mars, as Elon Musk clearly intends to, we need much cheaper systems for launching payloads into orbit. Things are generally looking good for the big launch. On Monday, SpaceX conducted a successful static fire test of the Falcon 9 booster on pad 39A at NASA’s Kennedy Space Center in Florida. Braun feels optimistic, too. The launch window begins Thursday at 6pm EDT and closes at 8:30pm EDT. We’ll be watching—as always, ad astra, SpaceX!